Solution for Ice Cold Beverages! 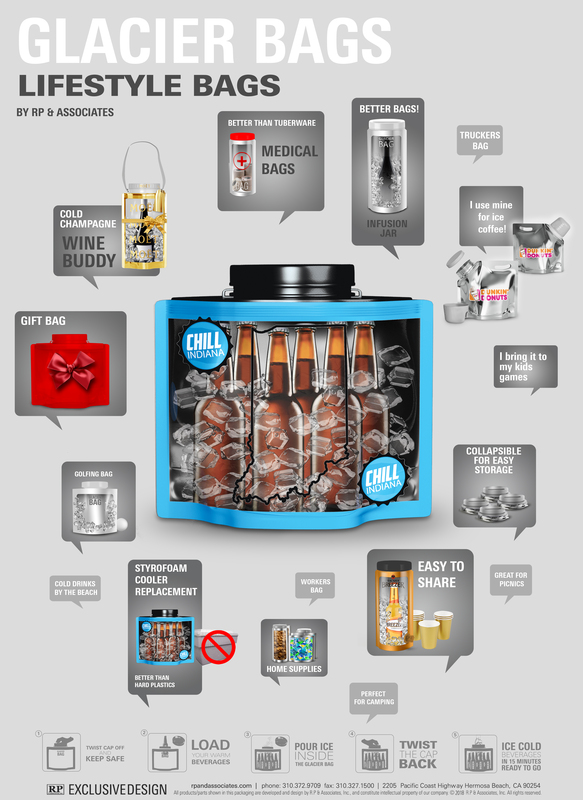 Provide customers with a quick/convenient way to chill their 6-pack when they grab it on the way to a party or event. Glacier Drink Pack can be used by beverage brands or retail to increase sales / impulse buys while promoting your marketing program. 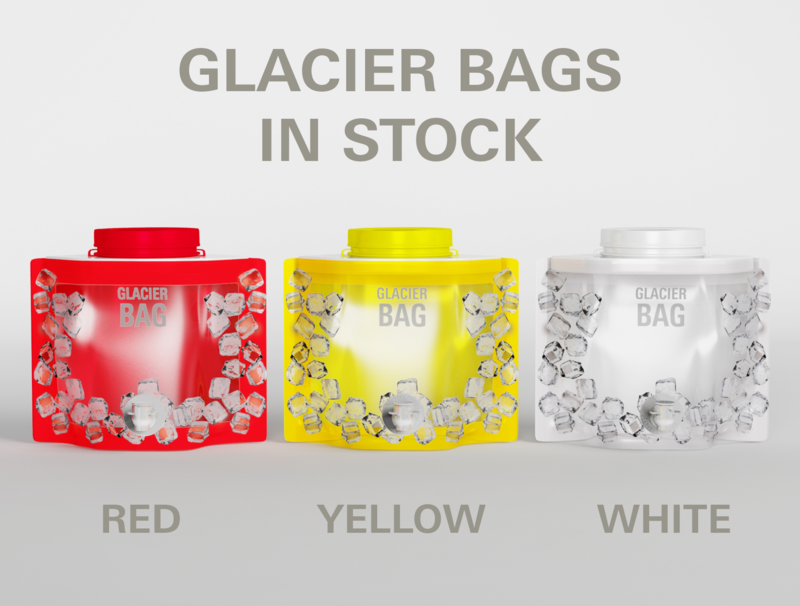 The Glacier Bag can be used by selling 6-packs inside the bag or provided separately to customers at the retail POS. Guest simply add ice and replace the cap; the beers will be chilled while on the go. Drive Retail Sales - Beverage Brands or Retail Channels can use the Glacer Drink Pack to provide customers with added value and give them another reason to buy from you instead of your competitor. Off-Premise Marketing Impressions - Use Glacier Drink Pack with a marketing programs to drive sales and create off-premise impressions with full color custom artwork. Outdoor Programs - Glacier Drink Pack is great for marketing campaigns related to the outdoors because you can give customers a way to chill and enjoy their favorite beverage when they're outdoors and/or away from a refrigerator; Glacier Bag is also reusable which is a great way to keep your brand top-of-mind each time the bag is used (functions as an ice bucket, ice pack, water proof storage container, drink/beverage pouch, etc). Spigot / Dispenser - Add a spigot or dispenser and the Glacer Pack can be used as a space saving beverage dispenser. The Glacier Bag is not only reusable, low cost and customizable, but it can also float!